Detectable warnings provide a distinctive surface pattern of truncated domes that serves as a “tactile” cue to persons with vision impairments, alerting them that they’re walking into a hazardous vehicular area or change of grade. 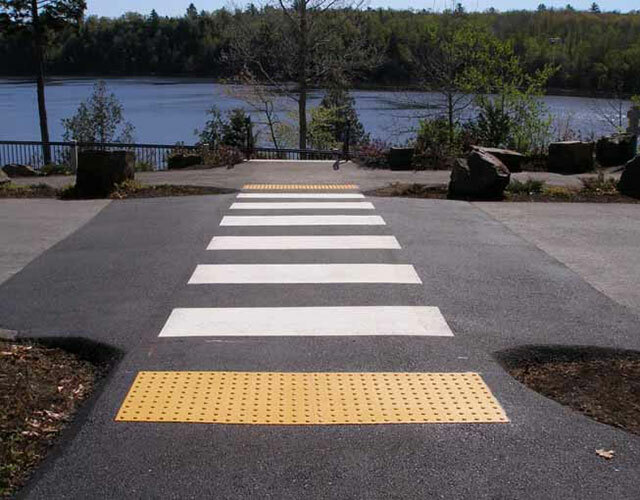 Detectable warnings are installed at crosswalks and wheelchair ramps, by reflecting pools and on transit platforms. Detectable warnings may also be installed on stairway landings and escalator landings.